Welcome to the party everyone! I’m excited to see what you’ve been up to this week. I will have a full feature post of Tutes and Tips Not to Miss up soon, but I thought it would be fun to do a separate shout out to one post each week that caught my eye. Congrats to Chic on a Shoestring for catching my eye this week with her adorable Bigger Boy Room Reveal! Go over and check out all of the fun details. Thanks for hosting. Glad to share my DIY Container Water Garden with you all. For the last 3 summers I’ve been enjoying it on my deck. Sounds fun! I love container water gardens and would love to add one to our tiny backyard. Thank you for hosting Beth!! Thanks for hosting Beth! 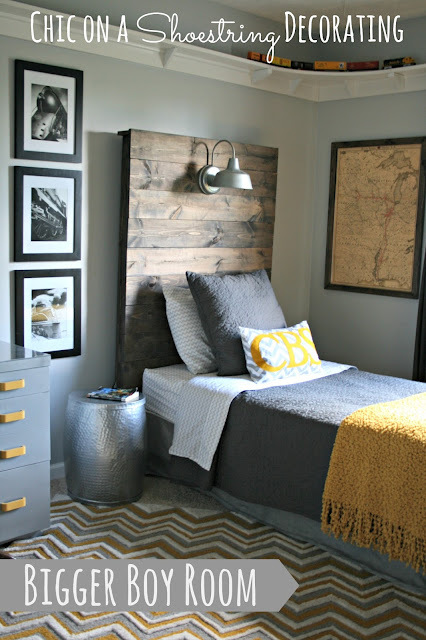 The room makeover on a shoestring is great, I love the grey & yellow color scheme! Thanks so much for hosting, Beth! I hope your summer is going well. Enjoy your day! I really love being a, “fly on the wall” and watching your home transform. Thanks for all the inspiration! That bigger boy room was my favourite last week too… especially since I am in the throes of working on my son’s almost turning six room! I loved what she did!! Thanks so much for hosting, Beth. Have a great week! Happy Tuesday…thanks for hosting Beth! Thanks for hosting! I’ve linked up two weeks in a row! Woohoo!!! Thank you so much for your party, Beth! Have a lovely week! Thanks for the party Beth! Great features as always! Hope you are having a great summer! I agree! That bigger boy bedroom is amazing! Thanks for hosting and I hope you have a great week! You too Fotini! Thanks for linking up ;). Ooh I loved that “Bigger Boy Room” too! Great pick! Thanks for hosting again this week, Miss Beth! Hope you had a fantastic weekend! #15, Paint Your Baseboards the Easy Way! 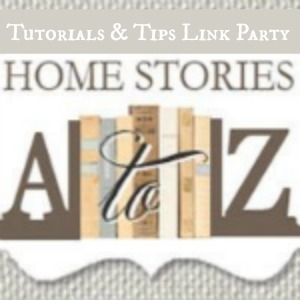 Thanks for linking up Abby!